New Computech has managed to team up with the leading Technology providers in the world in order to provide our clients with a wide array of technical capabilities. Following are only a few of such partnerships that have helped us create success stories with our clients many a times. 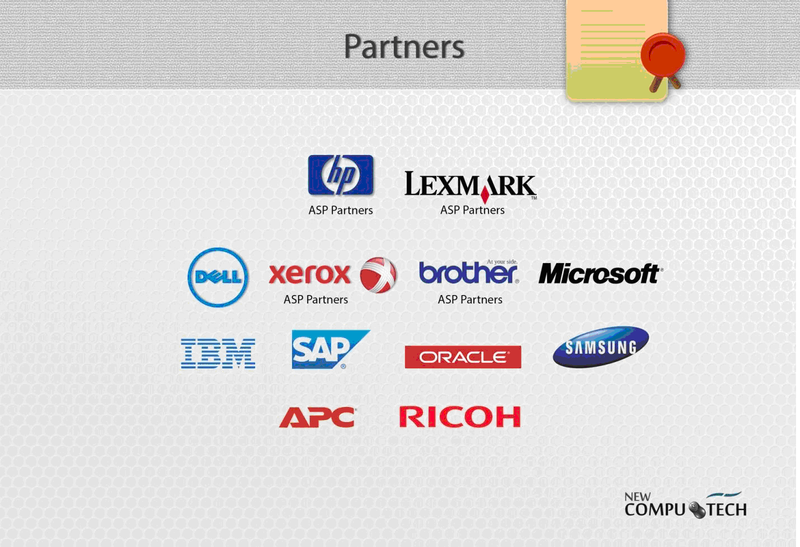 We are also warranty center for all our ASP(Authorized Service Partner) partners.